As a one-stop PCB & PCBA solutions provider, Sunthone offers services of PCB design & layout & manufacture, component source & assembly, product design & development & prototype with both hardware and software. Our engineers have experience in the application of IoT, WiFi modules, GSM/LTE modules, GPS modules, Bluetooth modules, and have successfully integrated several kinds of modules together in one product. We have developed a waste collection system used in trucks. It is powered by truck battery and output power to other applications like mobile phone charger, receiving instructions from Main Control Center and notifies driver to a pointed place to collect wastes and garbage. We have designed a mobile phone APP controlled smart heater integrating IoT, WiFi 2.4G, and Bluetooth modules, with functions that user can set the heater working time, working modes and temperature by mobile phone APP. This smart heater is targeting the European markets. Sunthone fully understands the importance of confidentiality of ODM and solutions projects, both for our own documents or documents from customers. In order to meet the confidential requirements, Sunthone has taken below two main actions. Sunthone adopts SDC system to protect your documents. With the protection of SDC system, any of the documents is confidentially saved and protected, so you donot have to worry about the security and confidentiality of your data and documents. The documents would be encoded automatically when anyone trying to send out, so only those users who are authorized can decode and view the documents. Moreover, it also forbids sending any un-authorized documents to someone outside the company. The second one is confidentiality training to each of employees regularly and repeatedly. Sunthone has classes to all employees on Saturdays, and confidentiality is one of the important training materials. With such regular and repeated training, each of Sunthone employees has gained a strong sense of secrecy and confidentiality. Our Data Leakage Prevention System (DLPS) uses something we call “Secret Data Cage” technology (SDC). Otherwise known as the Sandbox, the SDC protects sensitive data by using 3rd generation data encryption technology. 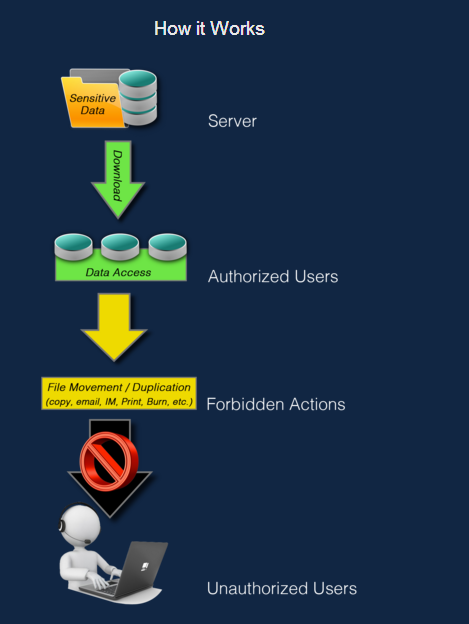 Users can access confidential data in the sandbox only when DLP mode is active, while the system blocks all attempts to move or copy data from the sandbox disk from anyone who is not authorized by the system administrator. The DLP system even works on laptops that never connect to the corporate network.